One of our former Gastown neighbours, the Spirit Wrestler Gallery, is offering an exclusive limited-edition blanket designed by Kenojuak Ashevak, an igloo-born Inuit who is one of Canada’s most acclaimed graphic artists. She died earlier this year, on Jan. 8, in Nunavut, Cape Dorset. The Spirit Wrestler Gallery (moved to 101-1669 West 3rd Ave), which is planning a show of Kenojuak Ashevak’s work, commissioned a blanket titled Tapestry of Owls, with a limited edition of 750. It is apparently a hot seller, even though it won’t be available for public release until May. 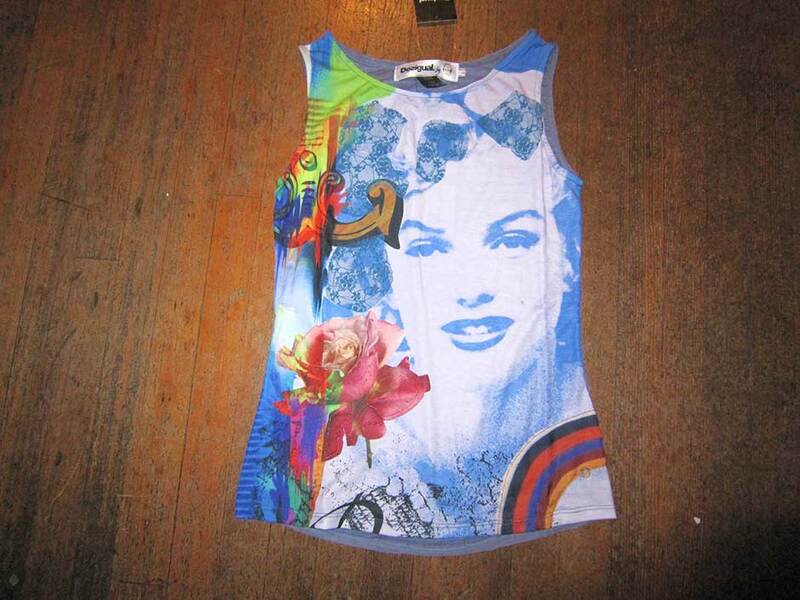 It is made by Pendelton Woolen Mills, an Oregon company. 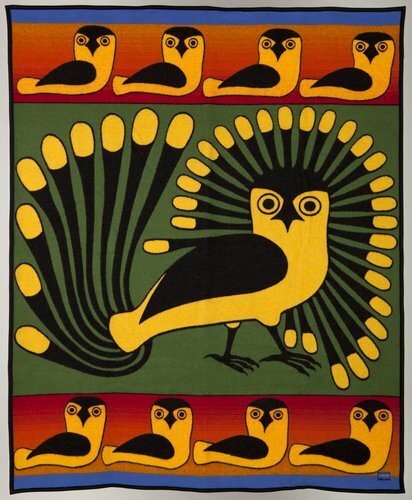 The blanket imagery recalls one of the artist’s most famous pieces, The Enchanted Owl (1960), a stonecut print which was featured on a 1970 Canadian stamp and now is in the collection of The National Gallery of Canada. 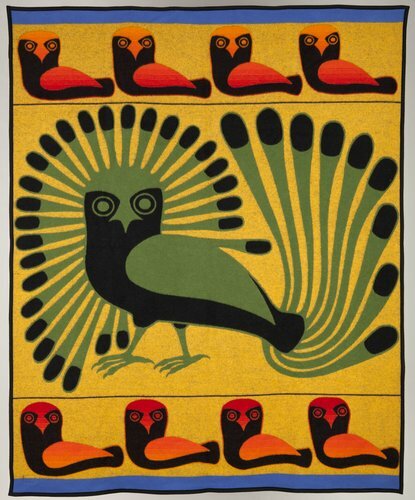 Canada has some truly amazing artists, and Kenojuak Ashevak is one of them. Kenojuak’s drawings were immediately captivating, and she has been represented in almost every annual print collection since 1959. Her work has also been included in numerous special projects and commissions. In 1961 she was the subject of a film produced by the National Film Board about her traditional life and art. The film is still shown today, and was instrumental in introducing her to the world beyond Cape Dorset. 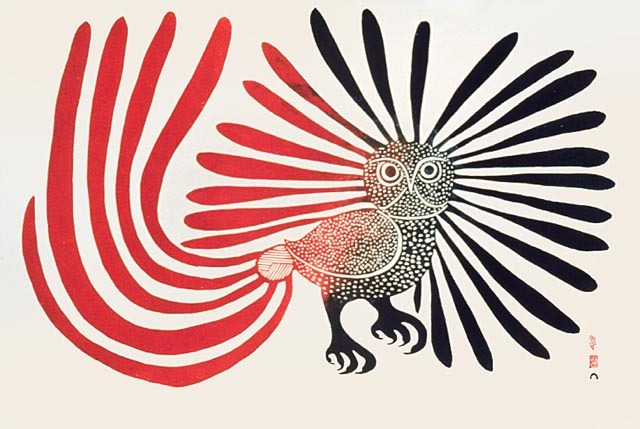 In 1970 her print, Enchanted Owl (1960) was reproduced on a stamp commemorating the centennial of the Northwest Territories, and again in 1993 Canada Post selected her drawing entitled The Owl to be reproduced on their .86 cent stamp. Special commissions include the World Wildlife Print Portfolio released in 1978. In the same year, the Commonwealth Print Portfolio featured one of her works. Her art and life were the focus of the limited edition book entitled Graphic Arts of the Inuit: Kenojuak, published in 1981. In 1988, Via Rail Canada commissioned a large mural from Kenojuak for their Club Car series, which featured some of Canada’s most highly respected artists. Kenojuak’s print Nunavut Qajanatuk (Our Beautiful Land) was commissioned by Indian and Northern Affairs Canada to commemorate the signing of the Inuit Land Claim Agreement in Principle, in April 1990. To commemorate the signing of the Final Agreement early in 1994, Kenojuak conceived and hand-coloured a large and exclusive lithograph entitled Nunavut. April 1st, 1999 marked the official inception of the new Territory of Nunavut in Canada’s Arctic. To commemorate this historic event, Dorset Fine Arts released a special edition of 99 prints by Kenojuak – a large diptych entitled Siilavut, Nunavut (Our Environment, Our Land). Kenojuak has received many special honours over the years. She is now a Companion in the Order of Canada, which she originally received in 1967. In 1992, she was awarded Honourary Degrees from both Queen’s University and the University of Toronto. In 1996 she received the prestigious Lifetime Achievement Award at the National Aboriginal Achievement Awards Ceremony in Vancouver. In the spring of 2001, Kenojuak was inducted into Canada’s Walk of Fame, and travelled with her daughter, Silaqi, to attend the ceremonies in Toronto. She is the first Inuit artist to be so honoured, and joins many other famous and accomplished Canadians. Kenojuak has travelled all over the world as an ambassador for Inuit art. In 1969, she and Johnniebo travelled to Ottawa to collaborate on a mural which hung in the Canadian Pavilion at Expo ‘70 in Osaka, Japan. In 1980, she travelled to Rotterdam, Holland to be present at The Inuit Print exhibition which was opened by the Queen of the Netherlands. In 1991, she travelled to Seoul, South Korea to attend the opening of an exhibition of prints and sculpture, and in 1994, she was invited to open the exhibition Arctic Spirit: 35 Years of Canadian Inuit Art at the Frye Art Museum in Seattle, Washington. She also travelled to Ottawa in the fall of 1994 for the opening of Isumavut: The Artistic Expression of Nine Cape Dorset Women. 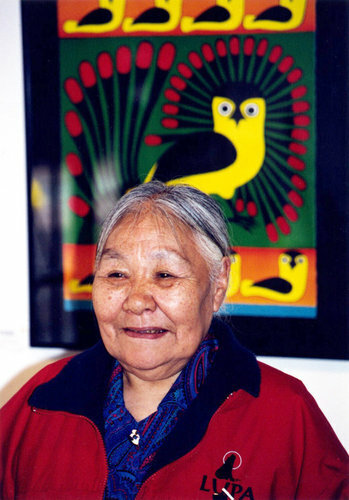 In 2004, she was off to Germany to take part in cultural festivities celebrating the territory of Nunavut, and her contribution to Inuit graphic art. Her major stained glass commission was installed in the fall of 2004 at the John Bell Chapel at Appleby College just west of Toronto. In the fall of 2007 Kenojuak travelled to Toronto to attend the launch of Cape Dorset Prints: A Retrospective – a major publication celebrating fifty years of printmaking at the Kinngait Studios. In 2008, she added to her list of honours the Governor General’s Award for excellence in the visual arts. Sponsored by the Canada Council for the Arts, she travelled to Ottawa in March 2008 with her daughter, Silaqi, to attend the exhibition at the National Gallery and events at the residence of the Governor General. She was back in Ottawa in 2009 to participate in events surrounding the 50th anniversary of the Kinngait Studios. She is Canada’s preeminent Inuit artist and her contribution to the Kinngait Studios has been extraordinary. This entry was posted in Uncategorized and tagged Gastown, Kenojuak Ashevak limited edition blanket, Spirit Wrestler Gallery, Tapestry of Owls, The Enchanted Owl 1960. Bookmark the permalink. Oh! That’s a nice surprise to see the gallery featured on your blog. We only announced the “Tapestry of Owls” blanket this past Friday, but the strong response has been encouraging.